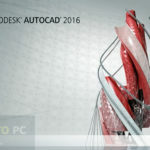 AutoCAD Architecture 2015 Free Download Setup for Windows. It is for architects with all the necessary tools in order to make some compelling designs. 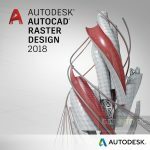 AutoCAD Architecture is the leading software intended to design for the architects with all the necessary tools in order to make some compelling designs. AutoCAD Architecture is aimed at the architectural aspects of the design and is fully devoted to the architectural designs. 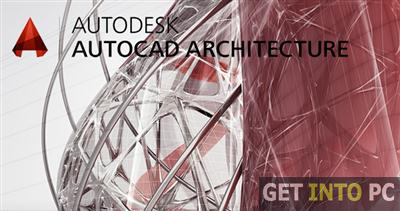 AutoCAD Architecture has come up with a new version that is AutoCAD Architecture 2015. This new version has many new enhancements as well as a fresh look. Lets explore it a little bit and lets know what’s new in this version. Well the designers have to spent hours in front of the screen so as to make a design. Exposing your eyes to the LCDs and monitor is not good for health. It can cause eye strain. 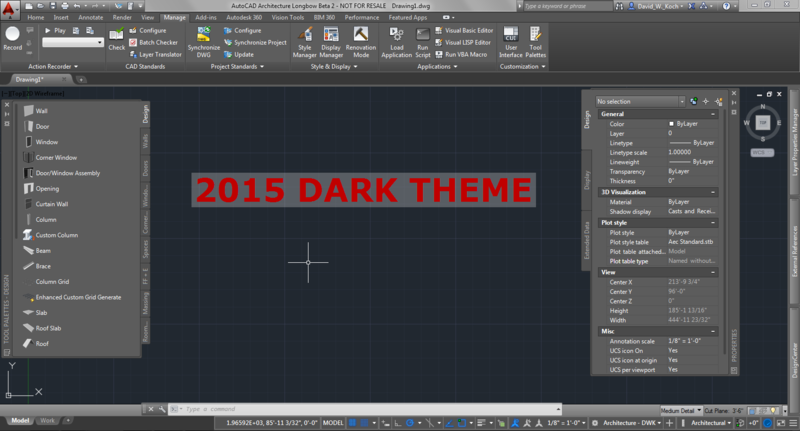 To avoid such a situation AutoCAD Architecture 2015 has come up with the dark theme. The dark theme is truly dark with all the ribbons and pallets covering themselves with dark. This results in lower contrast and does not come hard on the eyes. Well if you still need that old light theme that is also available. 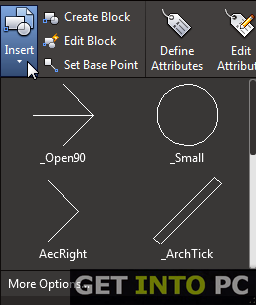 In AutoCAD Architecture 2015 whenever you will open it you will be greeted by a New Tab. 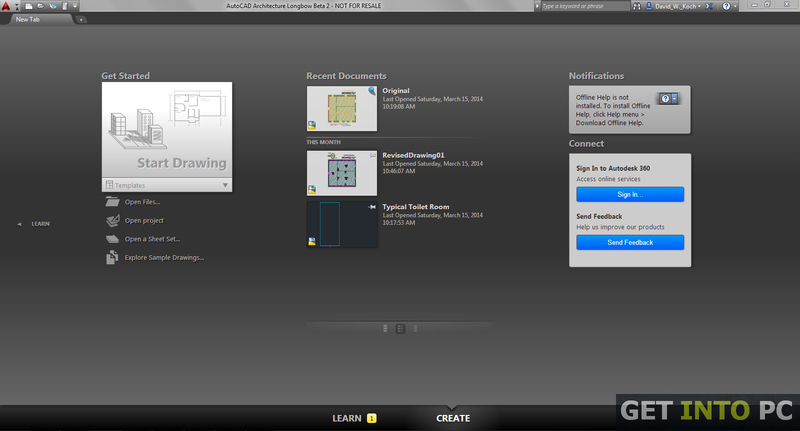 From this New Tab you can open your existing project or you can start a fresh one. 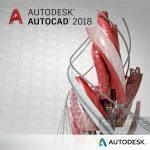 There is a learn option in the New Tab which will provide you with some useful and informative videos and other documented material that will help you kick start your projects in AutoCAD Architecture 2015. 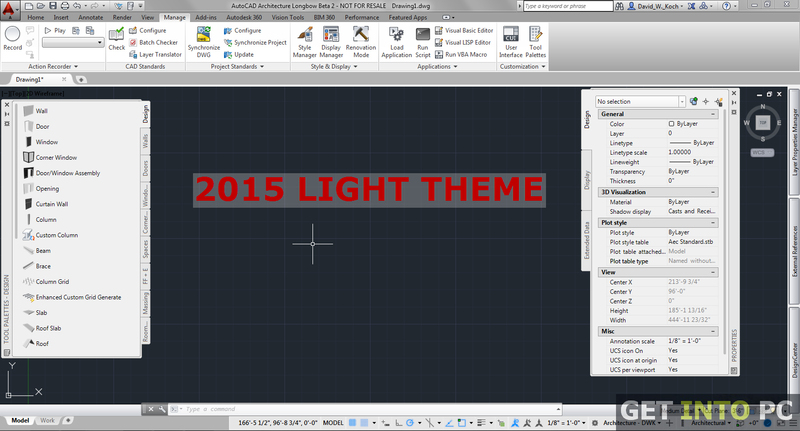 The interface of the AutoCAD Architecture 2015 has been cleaned up. It has been cleaned up by moving the tool to other places. Lots of tools have gone swishhhhh…. All the tool has been moved towards the right side of the bar. A “+” tool has been inserted in the model/layout tab on the right side. This tool is used for adding new tabs into your design. 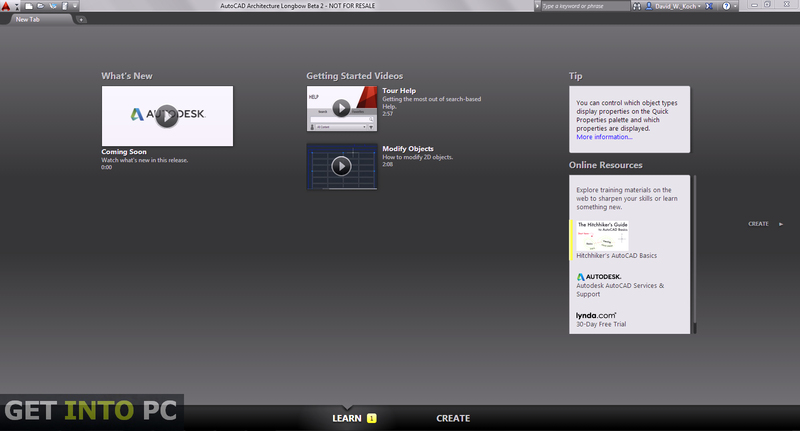 You can also right click for accessing tab related options. There has been an addition of galleries in the Ribbons. These galleries include certain graphic images of the objects instead of just a name. 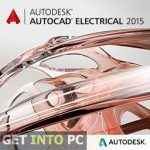 Well AutoCAD Architecture 2015 is the perfect choice for all the architects as the designs are managed dynamically whenever you alter the parameter of the design the construction elements and calculations are adjusted. With its powerful features and great outlook this surely is going to catch an architect’s eye as the design making process have been simplified and takes less time resulting in the increase in productivity. 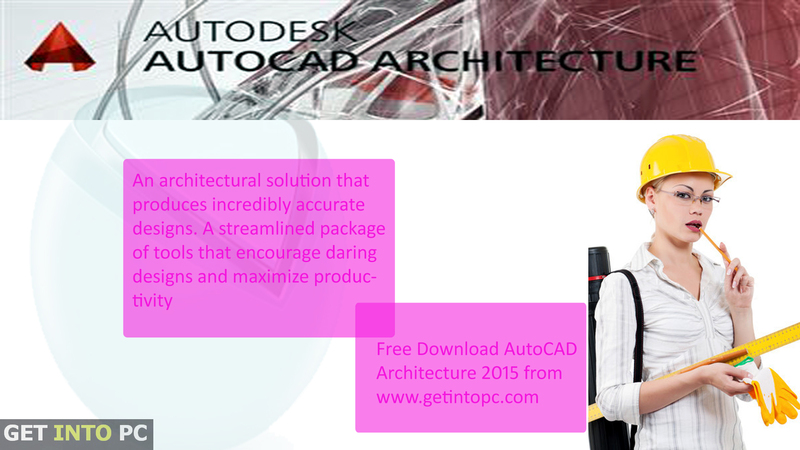 Below are some noticeable features which you’ll experience after AutoCAD Architecture 2015 free download. Supporting dark theme in order to reduce eye strain. Simple interface with more working area. Learn feature that contain some informative videos. “+” tool for adding new tabs. Galleries have been included in the ribbons. 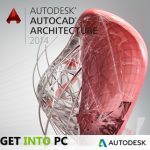 Before you start AutoCAD Architecture 2015 free download, make sure your PC meets minimum system requirements. 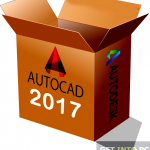 Click on below button to start AutoCAD Architecture 2015 Free Download. This is complete offline installer and standalone setup for AutoCAD Architecture 2015. This would be compatible with both 32 bit and 64 bit windows.